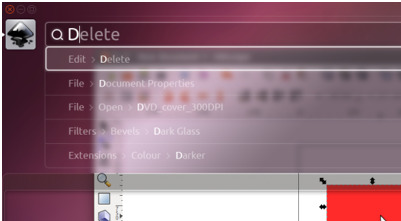 Ever since the graphical interface evolved we have used drop down menus as a principal means to organisation and find commands we want to use. But last week the developers of the Ubuntu OS announced that they are making the move away from menus to a "heads up" interface where typed commands or voice are used. Rather than hunting through menus, users can type the command they think they want into a search box. The system will suggest commands you might want and will use intelligence to look for commands you have used before. This potentially eliminates the problem of when menu structures are changed and you have to re-find where all the commands you like to use now are - something most users of Microsoft Office 2010 will be very used to! It certainly seems to be an interesting to change to a model that isn't broken but annoys most of us on a daily basis. Whether this is because there is a better way than menus or because they aren't well designed is perhaps the question. Does this fix a problem? It certainly might deal better with the fundamental problem of menus which is whether the designed structure maps to your mental model of where commands should be. Given that we probably all have slightly different models, for many of us the search can be frustrating. Especially for infrequent users. Office workers "forget to stand"
Reported by the BBC, a study recently presented at the British Psychological Society's annual conference suggests that people are spending longer sat at their desks and forget to stand, walk around and get the benefits of some posture change. Workers are now spending on average nearly 6 hours a day at their desk! Some suggest reminders to get up are a way to solve this such as a post-it note on your screen. We think it is better solved through design. 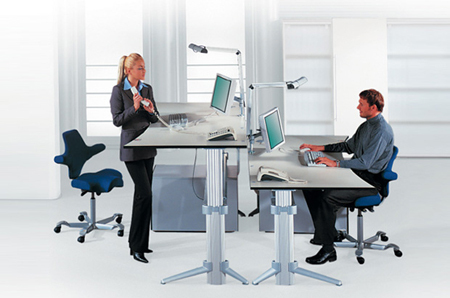 Office layouts should put things like bins and printers away from desks so workers have to get up to use them. Organisational and job design can also support thinking about the office layout to encourage and require more face to face working with a variety of workspaces. For the more adventurous, the provision of sit/stand workstations can build some posture change into the workstation - in our office we find the good old drawing board remains a useful working area. By nature people will get "sucked" into their work. They won't get up and move around unless required to or they have some positive incentive. Good design can do both of these. Those who have been getting some sun over Christmas or for the rest of us starting to think about booking our summer holidays (or those just trying to get to the next meeting) the issue of airport security can send a shudder down the spine. It has to be one of the least enjoyable aspects of any trip (marginally ahead of waiting for the bus in the rain in the long stay car park or the fun of the Piccadilly Line out to Heathrow!). But fortunately airport operators know this and are all becoming much more focused on our experience as passengers. So improving the experience of getting through security is high on the priority list. In the States, groups have started to suggest that the future lies in getting screening technology out there much of which is still in early development at the moment. Certainly for the passenger if this does anything to reduce queues then it has one tick. Individual body scanners are becoming more common at airports but there are still concerns around issues like privacy. 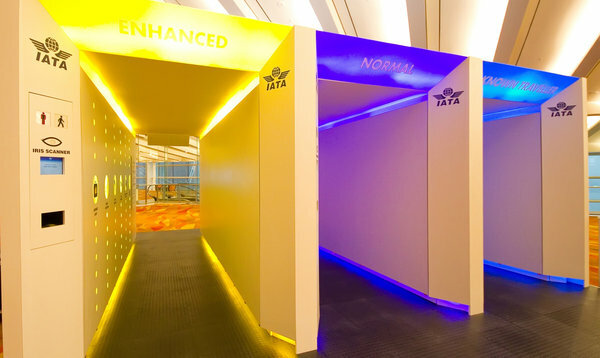 Sorting these are key to getting user acceptance and delivering the enhanced passenger experience that is wanted. The other approach is not about the physical environment and technology but reducing the number of people who are screened. It is contentious but in the States again they are taking the first steps towards profiling and offering faster screening for pre-approved passengers. Other schemes are being developed that reduce screening of children and allow aircraft staff to bypass screening all together. Many are questioning how foolproof such approaches can be. In the end improving the security processes are likely to be mostly about technology but to get the technology working, being effective and accepted by the travelling public, the human elements of the design and implementation must be kept at the front of the process. A good friend of CCD, Matt Marsh from Firsthand Experience, gave this talk to a TEDx event recently and we wanted to share it. Its an interesting discussion about innovation and the early insight of human-centered approaches. Matt's point about understanding people's needs and wants as an early part of the design process is really interesting. He highlights a number of failures that might have been prevented with a more user-led process...amazing that some of them got through even though user-centered approaches are often now used in the design process. The only question back to Matt is how you push and shape needs through innovation by creating things that people didn't know they want until they use it and adapt it. Do we need to have the failures to find the successes? Perhaps it is a different mind set that is needed in that early part of the process...abstracting to understand goals and needs and not moving to solutions as designers are often drawn towards.